The following statement can be attributed to American Farm Bureau Federation President Zippy Duvall: “The signing of the U.S.-Mexico-Canada Agreement continues the progress American farmers and ranchers have made since the North American Free Trade Agreement took effect in 1994. “Agricultural exports to Canada and Mexico increased from $8.9 billion to $39 billion under NAFTA. That boost provided important markets for farmers and ranchers whose productivity has only grown since the agreement was signed. USMCA keeps all those gains and adds improvements in poultry, eggs, dairy and wine. In every way, this new agreement is just as good, if not better than, the one that came before. We thank the Office of the U.S. Trade Representative for all the hard work that went into this accord. The National Milk Producers Federation (NMPF) and the U.S. Dairy Export Council (USDEC) commended the Trump Administration today for signing the U.S.-Mexico-Canada Agreement (USMCA), which had been agreed to in principle on Sept. 30. 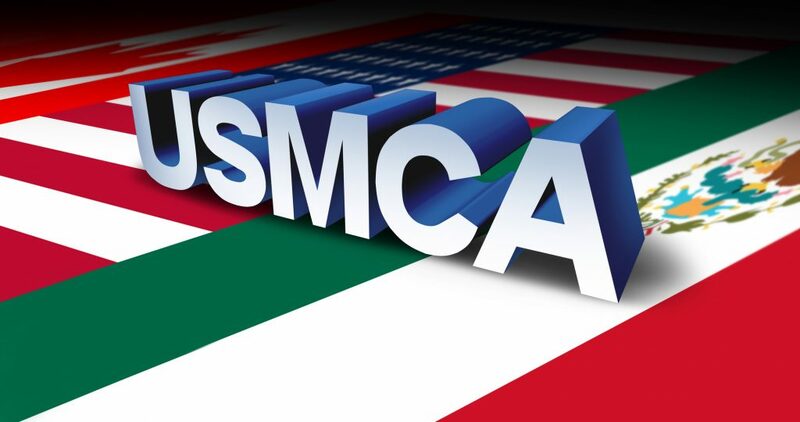 The USMCA will benefit America’s dairy sector by maintaining the overall U.S.-Mexico trading structure of the 24-year-old North American Free Trade Agreement (NAFTA), while incorporating new commitments to strengthen U.S. dairy export prospects throughout the North American region. Thanks to NAFTA, Mexico is currently the largest export destination for U.S. dairy products, accounting for $1.2 billion in sales last year. The United States commands a dominant market share in Mexico, with sales that amount to three quarters of its imported dairy products.